Today I’m gonna bring to you the fourth singer on the J’s series and I know, it is again a guy, sorry girls. 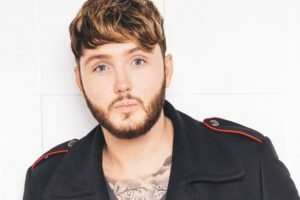 James Andrew Arthur, our fourth J is the third British, the youngest so far and he is the winner of the ninth season of the X-Factor (2012) – which made him the first contestant who’s been both: bottom two and winner. His cover for the song Impossible of Shontelle became the fatest-selling The X-Factor winner’s single so far and it holds the best-selling winners single ever, overtaking Alexandra Burke’s version of Hallelujah. His next single, You’re Nobody ‘Til Somebody Loves You, debuted at #2 in the UK and his first self-titled album, James Arthur (2013), charted at #2 in the UK and it became the 30th best-selling album of the year in the UK; it includes collaborations with Emeli Sandé and Chasing Grace. 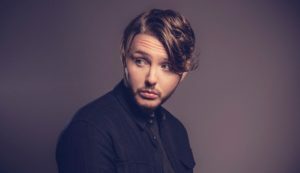 He released yet two other singles – Recovery and Get Down – before going on tour for the first time around Europe with the James Arthur Tour. Between the release of his first and second album, Arthur had some issues with homophobic statements in songs – which he apologized for and declared he is not homophobic – and after some other controversies he and Simon Cowell label Syco parted ways in mutual agreement. In 2015 he signed with Columbia Records and he re-signed with Syco and a little bit over a year after that he released Say You Won’t Let Go, the first single to his second album Back From The Edge (2016). the single reached #1 on the UK Singles Chart and became his second chart topper, making him the first male winner to date to have two #1 singles. In January the single became his first chart entry on the Billboard charts in the US and by the second week of January it made James the first-ever ‘X-Factor’ act to have two singles sell over a million copies in his homeland; by February, it had sold two million copies worldwide. He released another two singles – Safe Inside and Can I Be Him? – and they peaked at #31 and #69 consecutively. Arthur’s been influenced by artists like Prince, Miguel and Michael Jackson but he mentioned that Kurt Cobain – the former lead singer of the band Nirvana – is the reason he became interested in music. The singer opened up about his struggles with drugs, anxiety and depression and in 2016 he became an ambassador for UK mental health charity SANE. He struggled with suicidal thoughts during the downs of his career and has managed to get back on his feet and brought even more feelings and emotions to his second album. 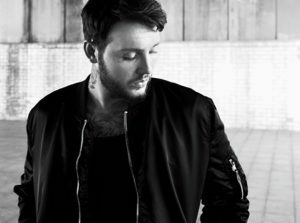 I can’t remember exactly what made me look it up his name to see if he had done anything new but I was really glad when I saw he had a new album out and even more after listening to it; I always found that James Arthur has soul and he puts it into his songs. If you want to hear some open soul music, he is your guy; if you want a tip to start with, I’d say Remember Who I Was – I find it almost impossible not to hear his soul in this one. And if you want to know more about him, his official website is a good place to start and also his official FB page; while you’re there, don’t forget to check our page as well. This entry was posted in Hip Hop, Music, Pop, R&B and tagged albums, facebook, homophobic, James Arthur, music, official page, official website, songs, soul, suicidal, UK, winner, X-Factor by hadassa. Bookmark the permalink.